Coffee Made With Mineral Water: The Key to a Perfect Cup Every Time! 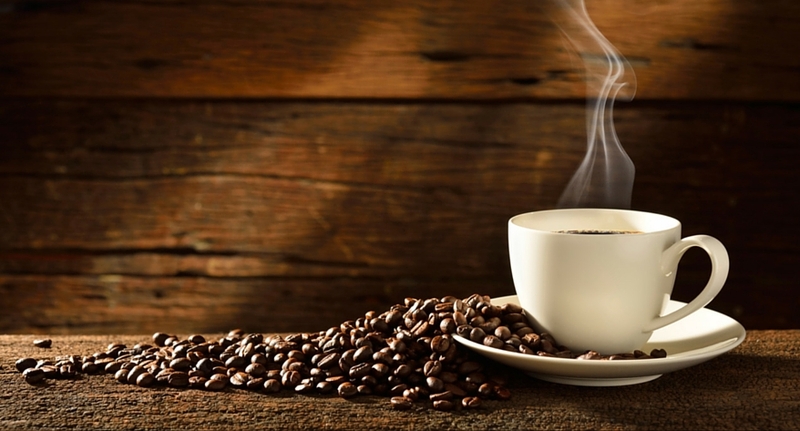 Very few people consider the impact of that water quality has on the taste of brewed coffee. Or worse, misinformed java junkies think that grabbing any old bottle of spring water off the shelf will make their coffee taste better. In fact, the quality of the water used has everything to do with how your coffee tastes, regardless of the brewing method you prefer. There are a few important factors to consider when choosing a water source for the perfect cup of coffee. Factors beyond simple home-filtering methods such as a Brita pitcher or tap filter. Or choosing the most popular spring or distilled water brand from the supermarket. What you're about to learn will shed some light as to why independently-owned coffee shops always have the edge over the popular franchises that are known for making a 'decent' cup of coffee. Brands like Starbucks, Scooters, Tim Hortons and now McDonalds and their popular McCafe lineup simply have no idea that the type of water used in a brew is just as important as the beans themselves. Water that's high in magnesium and relatively low, but not absent of, calcium is considered optimal for getting a perfect cup of coffee every single time. This is why it's near impossible to find the right water for making coffee from a regular bottle of spring water or filtered tap water. You'll certainly never find it in distilled water, which many coffee snobs use thinking they're getting the purest water available. Distilled water has no minerals at all, making it among the poorest water choices for making coffee. "The quality of the water is important to the coffee's taste. If your water doesn't taste good on its own, it won't make good coffee. City water with a chlorine aftertaste won't give you the same results as fresh spring water." Baristas all over the world are already aware that making coffee with mineral water is the best kept secret the world over. When you go to a business that specializes only in coffee and coffee-containing beverages, there's a really good chance they use mineral water or a special on-site water filter to get the mineral content of their water just right for brewing the perfect cup. Just the same, if you've ever been to an out-of-the-way diner in the country that uses well water or water from a nearby spring source, you may have indeed experienced what a perfect cup of coffee tastes like. Such an experience in this case probably has nothing to do with the diner or coffee shop, but rather because they're using water from a natural source that just happens to contain the perfect ratio of minerals needed to enhance the flavor of the beans they use. One water is sourced from deep beneath the Malaysian rainforest and contains just the right amount of magnesium and calcium to bring out the perfect earthy aroma and taste from your coffee beans of choice. We suggest pairing our natural source spring mineral water with fair trade coffee beans to ensure you're not consuming any health-robbing pesticides along with your morning coffee. Read also "Water Filters vs Natural Mineral Water"
Bottled Spring Water vs. Bottled Mineral Water: What's the Difference? How Did We Used to Survive Without Bottled Water? How Sustainable are the Natural Water Resources in Malaysia? Wondering Just How Much Water Should You Drink a Day? Join our weekly email newsletter. It's fast and easy. ©2013-2016 One Water. All rights reserved.